God is our father. More than an essence. He has a form and a body, though his influence is everywhere. God’s corporeality (having a body) was taught until the 4th and 5th centuries. We aren’t depraved creatures. We weren’t created out of nothing. Creedal statements about a triune deity were incorrect. These and other truths were restored. Joseph’s views are absolutely revolutionary when you consider what Christians believe(d). Bart Ehrman is a widely known scholar of the New Testament. He’s also made lots of money from producing many controversial and NY Times-bestselling books. I’ve seen and checked out his books on CD at my local library. I’ll share critiques of four of Ehrman’s recent books below. In some discussions — if Jesus lived — I agree with Dr. Ehrman. Virtually every historian, atheist and believing scholar, understands Jesus of Nazareth lived. In other discussions — the New Testament was forged, for example, — I don’t agree with his interpretations. John Warwick Montgomery is a believing Christian who criticizes Ehrman’s views on Jesus and his recent books “. Montgomery explains that the New Testament writers are who they say they are, and that Jesus is who He said He was. 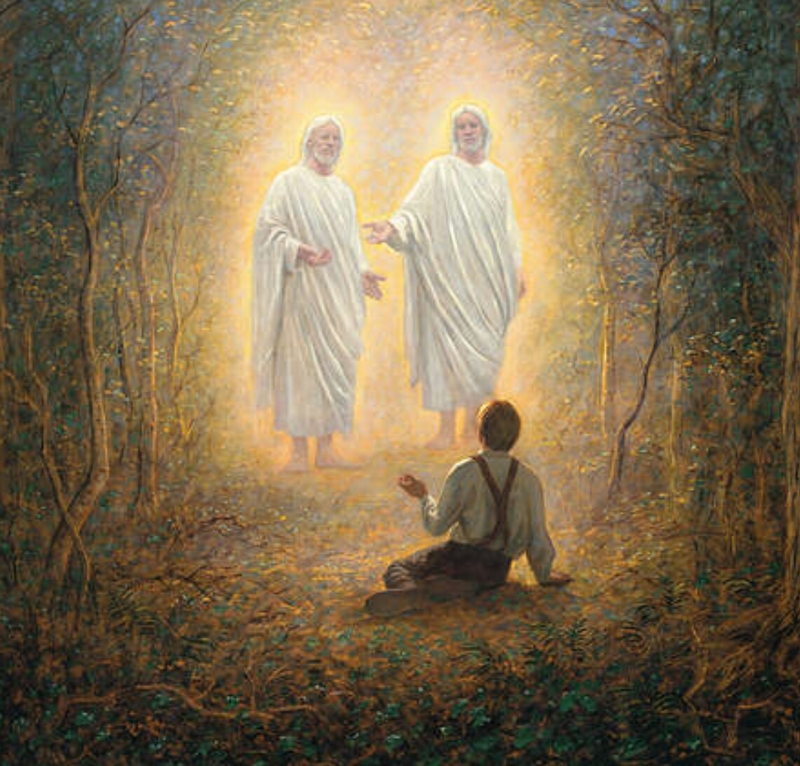 As a believing Latter-day Saint, I have certain disagreements with both sides in this debate. That is, Montgomery defends classical Christianity and is an evangelical. And Ehrman is an atheist. But in this debate I agree almost completely with Dr. Montgomery, and appreciate his defense of early Christianity and the manuscripts. Historian and Christian scholar, John Warwick Montgomery, reviews Bible critic Bart Ehrman’s book Misquoting Jesus: The Story Behind Who Changed the Bible and Why. Historian and Christian scholar, John Warwick Montgomery, critiques Bible critic Bart Ehrman’s book How Jesus Became God: The Exaltation of a Jewish Preacher from Galilee. Jesus: mythical or literal figure? Virtually all scholars of the ancient world believe Jesus lived. Only a very small fraction of scholars believe in a mythical figure. 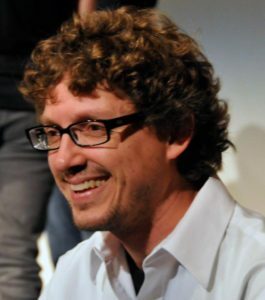 The leader of the mythical Jesus movement is fringe scholar Richard Carrier. The video below shows Bart Ehrman — himself an agnostic, but a highly esteemed scholar of the New Testament and ancient world — explaining that Jesus lived. Bart says that anyone who claims otherwise looks foolish. Richard Dawkins — perhaps the most vocal atheist alive today and author of “The God Delusion” — admitted that Jesus lived in a debate w/ John Lennox. Originally in his book, Dawkins fibbed, was somehow confused, or was trying to sell more books & hurt the Christian cause. That is, Dawkins said Jesus wasn’t historic. In a public debate (view below), however, John Lennox called Dawkins out on that false position that Jesus never actually lived. Awkwardly and reluctantly, Dawkins changed his position and said that Jesus did in fact live. This young fellow in the video below is a Muslim convert to Christianity who shared that many noted the life of Jesus and his followers outside the accounts found in the Bible. Those that believe in a mythical Jesus usually mention supposed similarities between Jesus’ resurrection claims and Osiris myths. The two lives, deaths, and afterlives — Jesus’ and Osiris’ — are hardly similar upon close inspection. The mythicists claim that Jews copied the Egyptian myths and created a resurrection story that resembled that of Osiris. Nope. Didn’t happen. Not even close. Modern mythicists are awful scholars making unsupported claims. Consider watching the below video about Josephus’ Jesus writings. Josephus lived from 37-100 AD and was a Roman-Jewish historian. His 21-volume Antiquities of the Jews recounts the history of the world from a Jewish perspective for a Roman audience. These works provide valuable insight into first century Judaism and the background of early Christianity. “Doer of baffling deeds…. On the 3rd day He appeared to them alive.” A few lines in Josephus’ writings are controversial, and may have been added by later scribes. Yet, most scholars agree that Josephus penned several lines, mentioning Jesus. More on Josephus’ Jesus writings here. I recently chatted with an BYU old friend about books on CD, podcasts, etc. he listens to for personal enrichment, education, passing time in the car, etc. He told me about a BYU speeches page. I looked it up, found the page listing “classic” speeches, & immediately recognized this one by David L. Poulsen: “Joseph Smith and the Problem of Evil”. I was at BYU in 1999. Dr. Poulsen (now retired) was a distinguished philosopher. In this speech he shares how Joseph Smith uniquely resolved logical challenges that perplexed scholars and theologians for centuries. Gotta be grateful for the restoration! We (far too frequently) take the truths for granted, in my opinion. This LDS New Testament scholar sheds light on the 8th Article of Faith: “as long as it is translated correctly.” Simple, but powerful statement. Though we don’t believe the Bible is inerrant or perfect (many Protestants do), we believe the earliest manuscripts are reliable. Awesome video. We should all understand this topic! Below is a great video by a Protestant scholar. I like to get multiple points of view to better support my understanding. Dan Wallace’s view on the New Testament manuscripts is similar to what LDS scholar, Dr. John Hall, says above. The New Testament: Is What We Have Now What They Wrote Then? Dr. Daniel Wallace is one of the foremost New Testament scholars in the world today. In his Best Sermon Ever, he shares with Mars Hill important teaching on the origin of the New Testament and whether or not what we read in our Bible translations today is the same as what was written in the original manuscripts. I’m not sure it’s accurate to say the facts presented in this video absolutely “prove” Jesus rose from the dead. But these 4 historic facts certainly provide very, very strong evidence of Jesus’ resurrection. In addition to this evidence, the Spirit testifies that Jesus rose. In my view, we should understand the best evidence and add that to our spiritual witnesses of Jesus’ resurrection. Everyone should really subscribe to this guy’s YouTube channel: LDS Truth Claims! He’s a young attorney who meets weekly with folks in his stake in the Seattle area, & records 1 hour on a topic. I just finished watching one discussing the Book of Mormon witnesses. Great stuff! Here’s the video he produced last Tuesday and posted to YouTube last night. The Book of Abraham is often a source of many questions. This fellow provides many helpful answers and perspectives. Watch and share with others!